Mild to Wild and First United Methodist Church will host a suicide prevention event on Wednesday evening to raise money for counseling services. Rafters will float the Animas River on Wednesday to help prevent teen suicide. Mild to Wild and First United Methodist Church will host the second annual Raft for Hope event to support counseling services for local teenagers outside of school, said Jake Forsythe, ministry program director with the Methodist Church. The event will also raise money to bring suicide prevention speakers into Durango schools, Forsythe said. La Plata County has one of the highest rates of teen suicide in the state, and several groups have started working on prevention efforts in recent years. Suicide rates in general have been rising in every state across the U.S. from 1999 to 2016, according to a recent Centers for Disease Control and Prevention study. Mild to Wild event coordinator Kelsey Wright said she hopes the event helps to acknowledge that suicide is an issue and helps to contribute to prevention. “We really want to support people and encourage them,” she said. The owners of Mild to Wild, Alex and Molly Mickel, decided to hold the first Raft for Hope last summer after several teens in the community died by suicide, Wright said. “It really hit us hard, and we wanted to do something,” she said. Raft for Hope will be held from 5 to 7:30 p.m. Wednesday, and it will include a short presentation about suicide prevention. Participates will put in at 29th Street and raft to Santa Rita Park. Tickets are $25 for adults and $20 for youths. Proceeds from sales will go toward prevention efforts. The trip can accommodate about 100 participants. 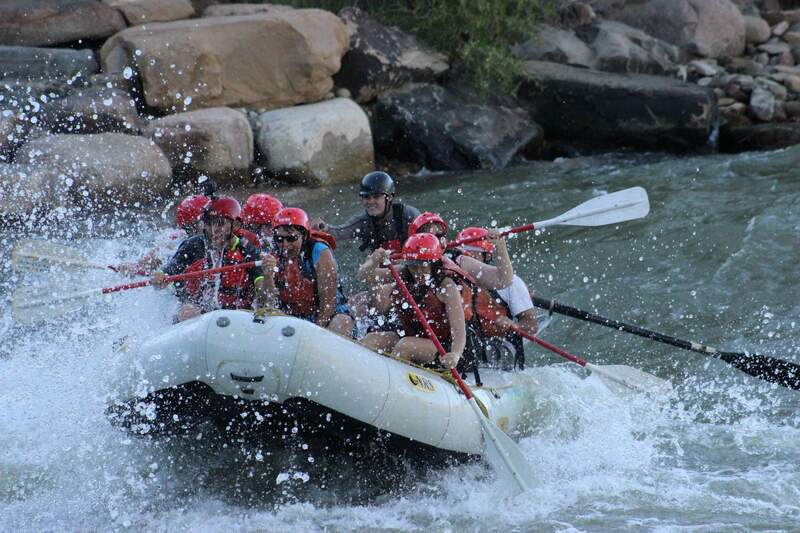 Participants should meet at Mild to Wild Rafting and Jeep tours, 50 Animas View Drive. To register and to reserve a ticket, call Mild to Wild Rafting at 247-4789.